Transit Alliance recently launched a new campaign called “Where’s My Bus?" The five-week initiative addresses the state of Miami’s bus system through a series of events and conversations online. Azhar Chougle, the Director of Transit Alliance, joined Sundial to talk about the data that's being collected throughout the campaign on bus ridership, reliability and service cuts. Listen to the interview with Azhar Chougle, the Director of Transit- Alliance. 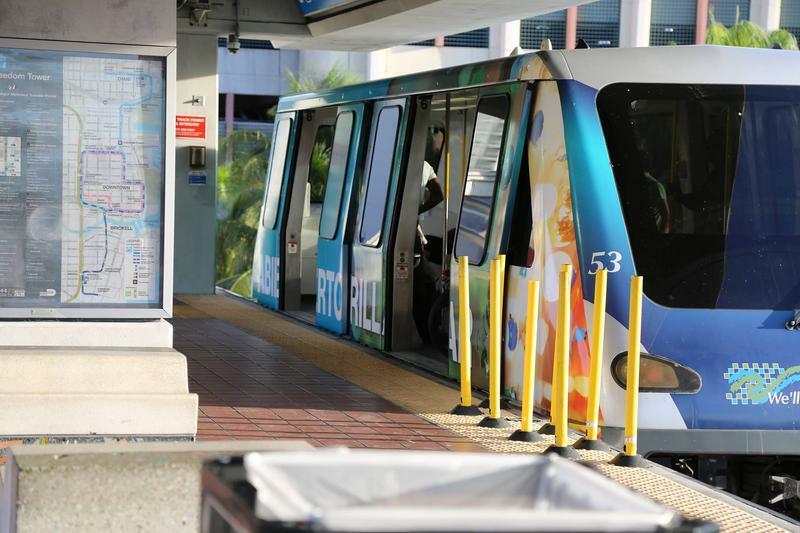 WLRN: I'm curious, how do you rate the way we do public transit in South Florida? Chougle: Terrible. Terrible. And you know terrible but there's no good reason for it to be terrible. I mean Miami really can be a city that not only has excellent public transit but can be walkable and can be bikeable. It can be a city where you can get around without a car, and it really comes down to the decisions that have been made in Miami over the past decades, that have made us into such a car centric and car dependent city. But it's not the way it needs to be. You think we could do better. I mean just point out a couple of the things that you know that we're not doing right. What are some of the issues? Why is ridership dropping? Well it's because there's no bus to ride, essentially. However, our leadership doesn't really see that as clearly as we [Transit-Alliance] do. For example, when we had 78 million trips on the bus system a few years ago it started dropping and leadership had two possible responses to that. One, you can either invest in the system and try to get those riders back or two, you can cut the system. They chose to cut the system. And so if you cut the system, ridership leaves and then they're like, 'oh well ridership is falling we should cut the system again.' And so essentially it has become a death spiral, which has caused a multitude of issues all the way from reliability, to buses not arriving at all, and people don't want to take a system they just can't depend on. So if the ridership is going down we should just invest more in it? Right. And oftentimes people say, 'Well that's a national trend. Bus ridership is falling everywhere. There's absolutely nothing we can do about it.' But that's simply not true. Cities that took the opposite response in that when bus ridership fell, they started investing in the system, actually see that ridership went up. Cities that responded by redesigning their bus system to actually make it more effective see their ridership go up. Houston and Seattle are fantastic examples of that. So Miami just decided that we're not going to do that. So Seattle ... Would you say that they're doing it better? Much better. And Houston is actually [a] closer example to Miami and actually redesigned their entire bus system to be the exact opposite of what it was before. And right now we [Miami] have a system that's kind of like Houston's old system: we have a lot of routes spread out. So imagine this from a bus rider's perspective and we'll compare it to a car. If you're a bus rider, you walk to the bus stop, you wait there (75 percent of bus riders have to wait an average of 30 minutes or more for the bus). So you're waiting there. There's no shelter because most bus stops don't have any shelter. It's raining. It's hot. And then on top of that the bus tracker doesn't work. So it might never come because a lot of buses never come. We've statistically found that out. That's your experience as a bus rider. Now compare that to your experience as a car, as a car driver. Your car is in your backyard or in your apartment building. And there's excellent infrastructure -- you have all these roadways, it's fantastic, you can drive around, the speed limits are high and then when you get to your destination as a society we've decided that you must have a parking space so you will have a parking space. Now when you look at that equation look at that equation in Miami. Can we honestly say that people would choose the bus? Again there's no reason that people shouldn't. We've designed it that way. What are politicians, local leaders saying about what to do? Aare they looking at the data? Do they understand that just because ridership is down ... don't cut services, maybe invest more? This conversation is kind of just getting started and the issue in Miami is that decision-making (when it comes to transit) is so fragmented. We have municipalities, we have the county, we have the citizens and independent transportation trust. I'm not even going to go into all of the acronyms that we have that try to make a good decision on transit. It's just too long. So this campaign, the goal is to get everyone on the same page. Before we can have any sort of significant conversation ... we need to start with here's what's going on.